The Mag-Frame magnetic lifters from Serpent & Dove are designed to safely and efficiently lift large, thin steel sheets. Large, thin steel sheets are notoriously difficult and dangerous to lift and handle, especially from a stack. 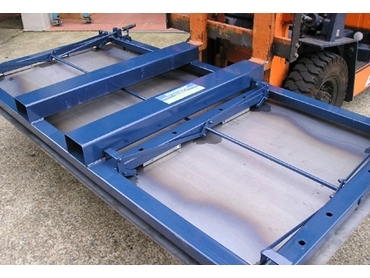 Personnel are constantly at risk of injury when attempting to separate or lift the large sheets. While conventional lifting magnet systems are frequently not suitable for sheets less than 6mm in thickness, vacuum systems are expensive and energy intensive. The Mag-Frame from Serpent & Dove does not need power, instead using an engineered permanent magnet system to lift one thin sheet at a time from a stack.